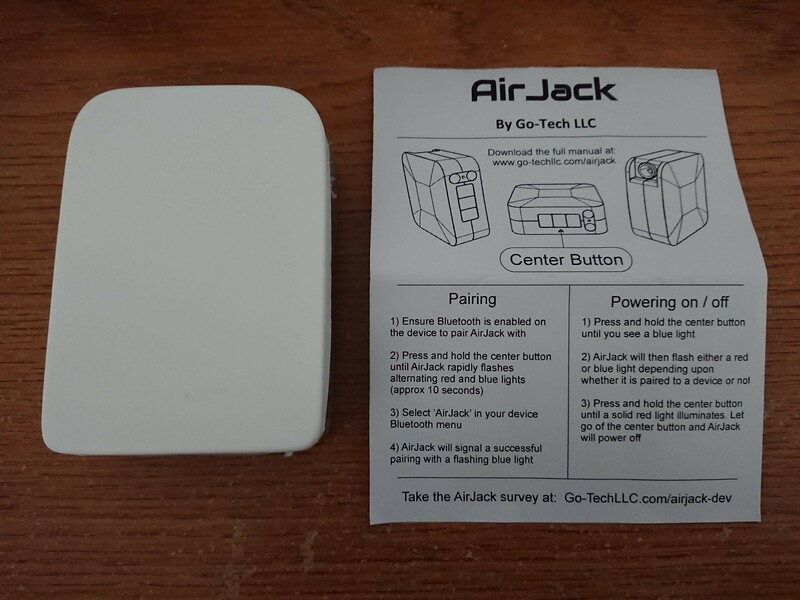 For those who don’t know what AirJack is, it is a device that can make any headphone with 3.5mm plug a Bluetooth headphone. 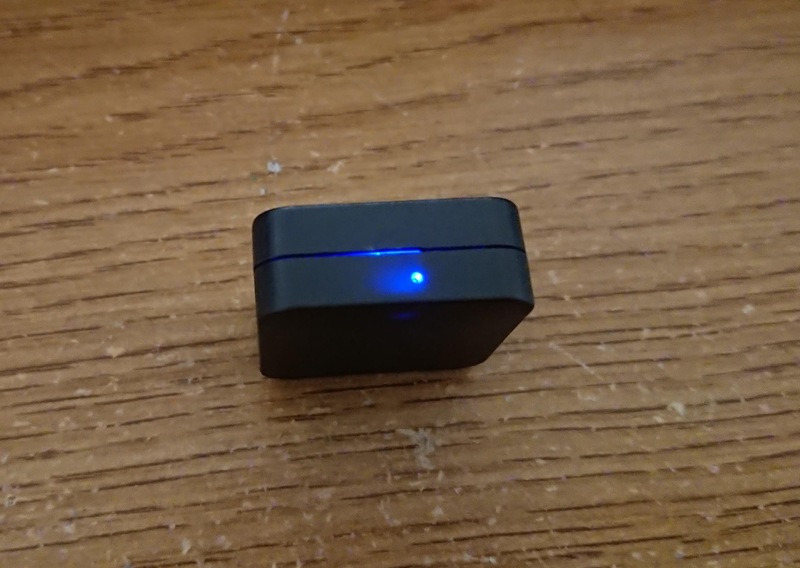 It’s basically a Bluetooth audio receiver. I received it yesterday. I’ve waited for a loooooooong time. Go-Tech LLC promised to ship around May 2017 when I back the project on Indiegogo, but they did not. Then I received a tracking number in February 2018, but I didn’t see any update until six days ago (May 21, 2018). So finally, it arrived, in a small packet. It was very disappointing that the build quality (of the case) is extremely terrible. 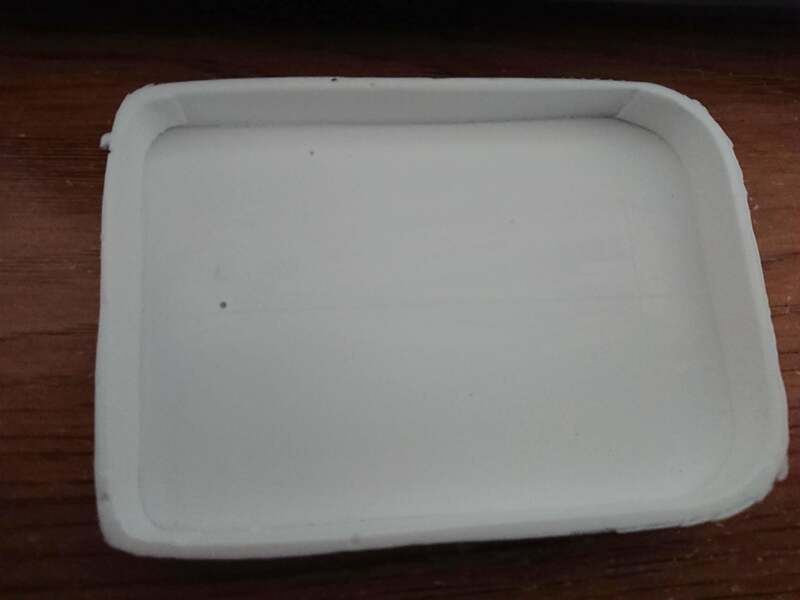 The lid was made of soft plastic, the thickness of it is uneven, and cutting is… terrible, with lots of burr on it. However, compared to the case itself, the lid is still acceptable. 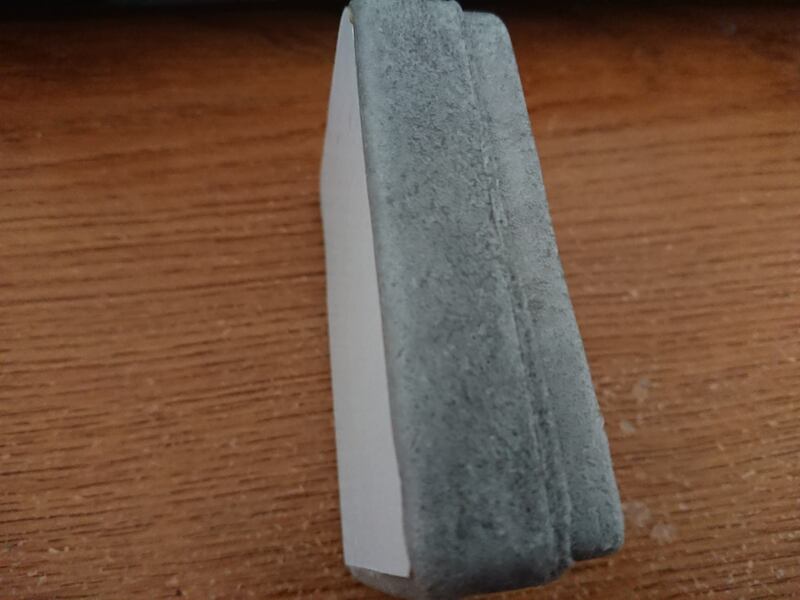 The case is entirely made of (low quality) foam, WITHOUT a plastic housing. 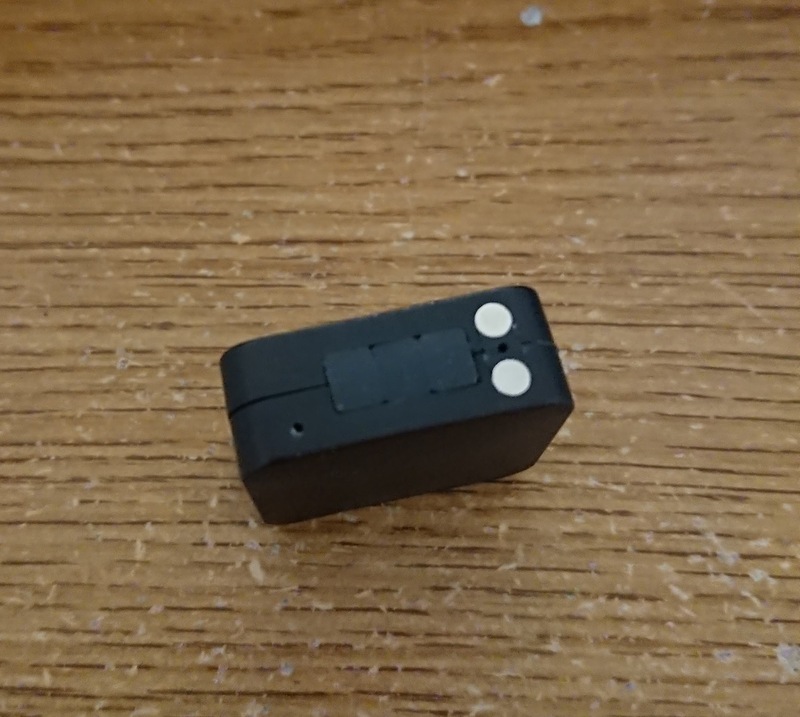 And on the back is a piece of cardboard glued together… If I press on it, I can see the battery and wires inside of it. 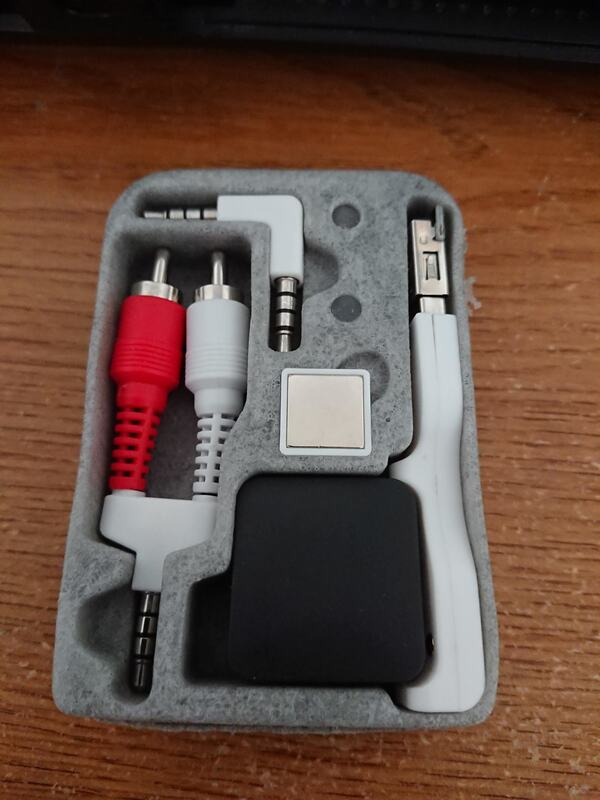 The case is almost completely different from the advertisement, in the picture on the manual, it has a battery indicator, a power button, a plastic housing around the foam part, and a different layout. Let’s talk about functionality. 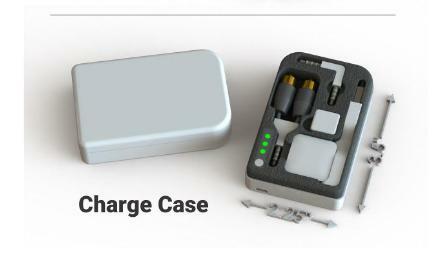 What I expect is I when I put AirJack (The little black cube in the photo above) back into the case, the case should charge it until the battery inside of AirJack is full, or the battery in the case is out of power, and a power button that can toggle the case to charge AirJack or not. But what I actually get is a case that is just a case, it doesn’t work AT ALL. Just like the photo above, nothing lights up, nothing is charging. Though at some angle it may work when I moved it a little bit, it stopped working. 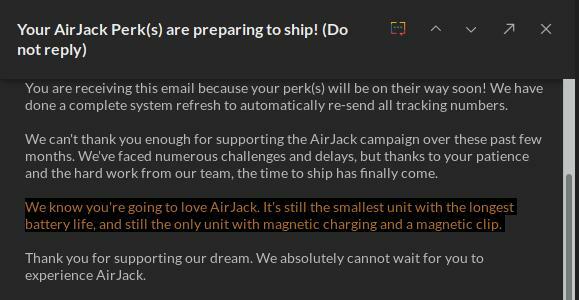 AirJack itself’s quality is… acceptable. Everything is fine except a big gap between the two pieces of plastic cases and some burr around the holes. It’s definitely not waterproofed, LOL. And that’s the indicator. I’ve already paired it with my phone, so it’s a blinking blue light. For more details about the usage, please read their manual. Go-Tech LLC claimed it could work 50 feet (around 15 meters) away from the… phone? However, when I put my phone in my right pocket, and AirJack in the left pocket, sometimes the audio become intermittently. Moreover, it will disconnect when I’m around 2 meters away from my phone. It claimed to have aptX support, but when I connected to my phone, my phone won’t recognize it as an aptX device. My phone automatically selects SBC, not even AAC. 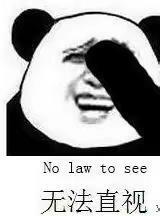 I don’t know why. By the way, my phone is SONY Xperia XZ1 Compact, every other Bluetooth headphones I have works fine with it (Even garbage like PowerBeats2 Wireless). And it doesn’t have ANY charge protection. Those dongles in the case probably have the best build quality among all the things I received. So my opinion to this thing is… not recommended. The price is not low ($32 for early birds at Indiegogo), it’s build quality is just terrible, and didn’t reach many expectations, especially for the case. If the price goes down or the build quality got a significant improvement, it can be a good product, but right now it’s just a… If you really want one, you can have a try, but don’t buy the case, it’s useless. I’m not loving it as they promised. Feel free to ask me anything about it in the comments below.